MNP Poll: Who should be the new 'Network News Weekend' anchor? Network News Weekend anchor Roanna Jamir shocked many viewers when she announced Saturday that she would be leaving CNN Philippines. "I have decided to be a freelance journalist where I am able to travel, write music, practice my art, write my book, enjoy life and just be happy," she posted on her Facebook account. As is tradition on this website, we are opening our MNP Poll to task our readers to find the next CNN Philippines weekend anchor. If looking at the pattern, the network bosses will likely tap an in-house talent as Jamir's replacement and we could go on and include Claire Celdran, Amelyn Veloso and Mitzi Borromeo as among the possible choices. We could also look beyond the most obvious prospects and add correspondents Ina Andolong and David Santos into the mix; and also the trio of Claudine Trillo, Menchu Macapagal and Nicolette Henson. 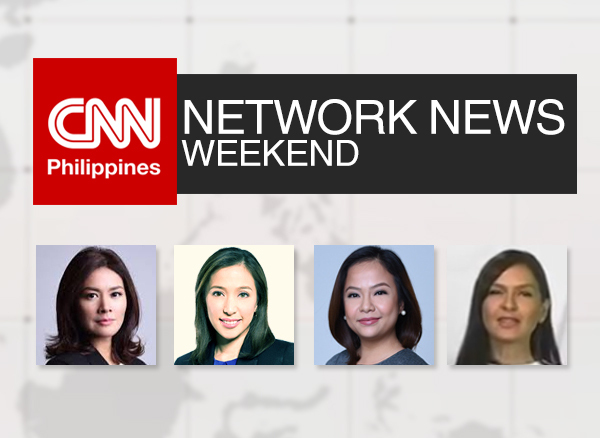 For our brand new MNP Poll, we would like to ask you this question: Who do you think should be the new Network News Weekend anchor? Cast your votes and leave us your comments below or on our Facebook page. You can also tweet us @medianewserphil. Who should be the new 'Network News Weekend' anchor?